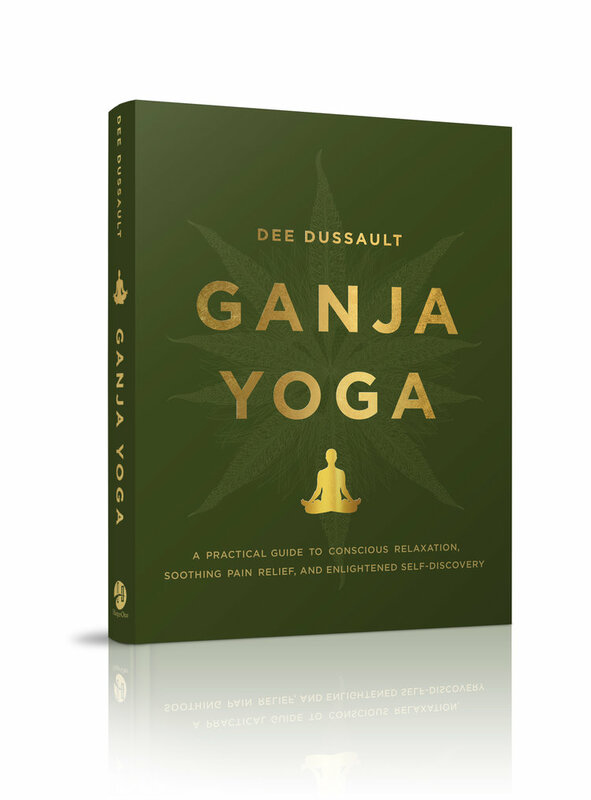 In the past decade, Dee has taught Ganja Yoga to thousands of students, hosted sold-out Ganja Yoga retreats, and travelled with the practice to over fifteen North American cities. Last year, she launched the Ganja Yoga Teacher Training and the next level, - the Ganja Yoga Certified Teachers program. She is beyond-proud to have her certified Ganja Yoga teachers all over the continent !! open to anyone who loves yoga. or create your own form of enhanced yoga!! Ganja Yoga is so much more than just weed + yoga. In my twenty+ years of practicing, I suffered yoga injuries that could have been prevented. I’m thankful though, because from that I took a year-long biomechanics course with the amazing Katy Bowman, and it changed my understanding of yoga. So, a big part of the training is unlearning some bad yoga alignment that’s made its way into studios across the country. Leave knowing common alignment mistakes your students (and other yoga teachers!) often make, and, in fact, get a whole new understanding of anatomy, physiology, and the body. … Soo much more than just weed yoga. ~ Complete training in conducting safe, all-levels, relaxation-based enhanced classes, from the person that has been facilitating them for ten years. ~ The medicinal, spiritual, historical, and modern practical use of cannabis. ~ GY YTT manual, with common injury-causing yoga postures, modifications, and instruction on poses best-suited to cannabis enhanced practice. ~ The full 411 on the importance of organic, heirloom cannabis varieties, permaculture and living soil, - and, most importantly, developing your unique healing relationship with the plant. ~ Information and support on marketing and business, including best practices for working with sponsors and with your local laws. ~ Certification of course completion, 42.5 Yoga Alliance continuing education credits!, and the opportunity to join the Ganja Yoga™ brand, with our certification program! +Returning GY YTT grads: $200! "I'm so immensely grateful for this training. It was thorough, knowledgeable, hands-on, and approachable, and you seamlessly shared the behind-the-scenes aspects to putting on Ganja Yoga classes. Biomechanics is going to change my life. Toke on!!" → To register, send your $200 deposit to a friend on paypal (deedussault@gmail.com), or venmo Dee-Dussault. Then email me to let me know which one you’re signing up for. Complete payment must be made by day one, on any schedule you like. Not included: 1. Reading materials (approx $60), yoga supplies, meals, cannabis (we all share), or lodging. Last day to register: One week before the training starts (so you can do the readings). Refund policy: 100% refund if +45 days til the training start-date; Otherwise, minus 25% (or 100% transfer to a future training within 12 months). If within a week of the start-date, no refund or transfer is given.